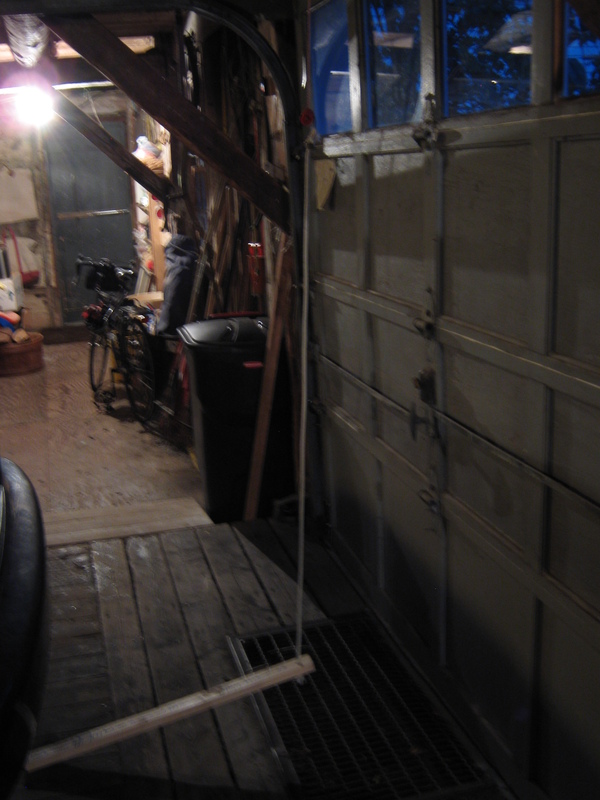 We had a power outage a while ago, in the middle of which someone needed to get out of the garage and… couldn’t. The door that needed to be opened was, naturally, the one that wedges itself in slightly when it shuts, so it jams the electric opener’s emergency release. Further investigation revealed that a good hard judo-yank will release it (with a bang), but not everyone can do that. So I made a release helper – because almost anyone can step on a lever. The pictures pretty much say it all – just hook the custom specially calibrated clothesline to the release pull and step on the board. 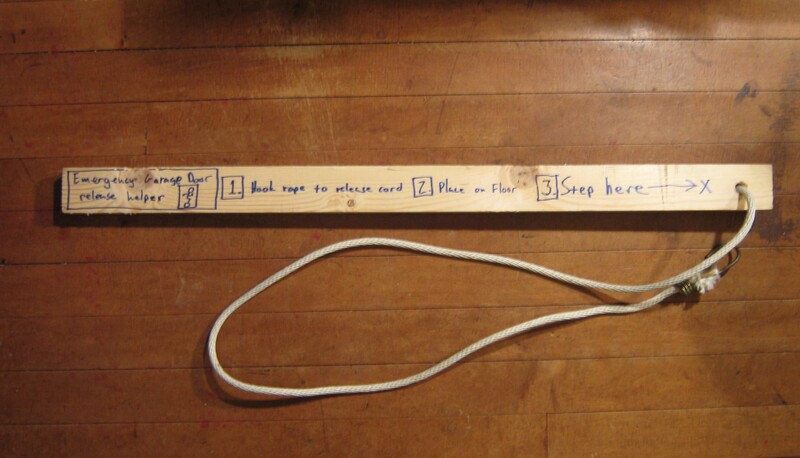 This entry was posted in Projects and tagged Hacks, Projects by The One True Stickman. Bookmark the permalink.